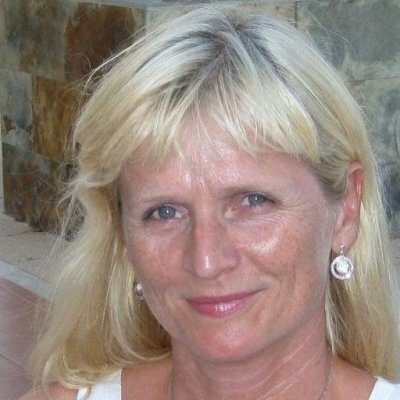 Hanne Tuntland is an Associate Professor at Bergen University College, Norway. She is an occupational therapist with a specialisation in gerontology/geriatrics. She has recently been a co-editor/co-author of a Norwegian textbook on reablement. She is currently involved in two research projects investigating effectiveness and cost-effectiveness of reablement, of which one research project involves 43 Norwegian municipalities. In addition, she has been author to several text books in the field of gerontology and ADL (activities of daily living). 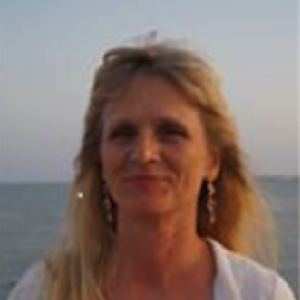 Her other research contributions are in forms of systematic reviews within the field of rehabilitation. As a result of the ageing population worldwide, there has been a growing international interest in a new intervention termed ‘reablement’. Reablement is an early and time-limited home-based intervention with emphasis on intensive, goal-oriented and interdisciplinary rehabilitation for older adults in need of rehabilitation or at risk of functional decline. The aim of this qualitative study was to describe how older adults experienced participation in reablement. 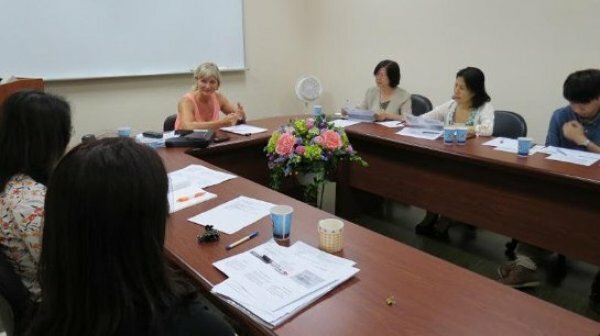 Eight older adults participated in semi-structured interviews. A qualitative content analysis was used as the analysis strategy. Four main themes emerged from the participants’ experiences of participating in reablement: ‘My willpower is needed’, ‘Being with my stuff and my people’, ‘The home-trainers are essential’, and ‘Training is physical exercises, not everyday activities’. The first three themes in particular reflected the participants’ driving forces in the reablement process. Driving forces are intrinsic motivation in interaction with extrinsic motivation. Intrinsic motivation was based on the person's willpower and responsibility, and extrinsic motivation was expressed to be strengthened by being in one's home environment with ‘own’ people, as well as by the co-operation with the reablement team. The reablement team encouraged and supported the older adults to regain confidence in performing everyday activities as well as participating in the society. Our findings have practical significance for politicians, healthcare providers and healthcare professionals by contributing to an understanding of how intrinsic and extrinsic motivation influence reablement. Some persons need apparently more extrinsic motivational support also after the time-limited reablement period is completed. The municipal health and care services need to consider individualised follow-up programmes after the intensive reablement period in order to maintain the achieved skills to perform everyday activities and participate in society. Reablement is a promising new rehabilitation model, which is being implemented in some Western countries to meet current and future needs for home-based services. There is a need for further investigation of the effects of reablement among community-dwelling adults in terms of clinical and economic outcomes. This study will investigate the effectiveness of reablement in home-dwelling adults compared with standard treatment in terms of daily activities, physical functioning, health-related quality of life, coping, mental health, use of health care services, and costs. The study is a multicenter controlled trial. In total, 44 Norwegian municipalities will participate, including eight municipalities as a control group. For three municipalities with two zones, one will be assigned to the control group and the other to the intervention group. The experimental group will be offered reablement and the control group standard treatment. The sample will comprise approximately 750 participants. People will be eligible if they are home-dwelling adults, understand Norwegian, and have functional decline. Participants will be assessed at baseline, and after 10 weeks, 6 months, and 12 months. The primary outcome will be activity and participation measured by the Canadian Occupational Performance Measure. Physical functioning will be measured by the Short Physical Performance Battery and health-related quality of life by the European Quality of Life Scale. Coping will be measured by the Sense of Coherence questionnaire and mental health by the Mental Health Continuum Short Form. Costs will be generated based on registered working hours in different professions. Data analyses will be performed according to intention to treat. Univariate analysis of covariance will be used to investigate differences between the groups at baseline and the end of intervention. The data will be organized into two levels using a multilevel structure, i.e., individuals and municipalities, which will be analyzed using linear mixed-effects models. The working hours data (panel data) will be analyzed with random mixed-effects regression models. The cost-effectiveness of reablement will be evaluated according to the incremental cost-effectiveness ratio and uncertainty will be explored via the bootstrap method. The findings will make an important contribution to knowledge of rehabilitation approaches for community-dwelling adults. As a result of the ageing population, there is an urgent need for innovation in community health-care in order to achieve sustainability. Reablement is implemented in primary care in some Western countries to help meet these challenges. However, evidence to support the use of such home-based rehabilitation is limited. Reablement focuses on early, time-intensive, multidisciplinary, multi-component and individualised home-based rehabilitation for older adults with functional decline. The aim of this study is to investigate the effectiveness of reablement in home-dwelling adults compared with standard treatment in relation to daily activities, physical functioning, health-related quality of life, use of health-care services, and costs. The study will be a 1:1 parallel-group randomised controlled superiority trial conducted in a rural municipality in Norway. The experimental group will be offered reablement and the control group offered standard treatment. A computer-generated permuted block randomisation sequence, with randomly selected block sizes, will be used for allocation. Neither participants nor health-care providers will be blinded, however all research assistants and researchers will be blinded. The sample size will consist of 60 participants. People will be eligible if they are home-dwelling, over 18 years of age, understand Norwegian and have functional decline. The exclusion criteria will be people in need of institution-based rehabilitation or nursing home placement, and people who are terminally ill or cognitively reduced. The primary outcome will be self-perceived performance, and satisfaction with performance of daily activities, assessed with the Canadian Occupational Performance Measure. In addition, physical capacity, health-related quality of life, use of health-care services, and cost data will be collected at baseline, and after 3 and 9 months in both groups, and again after 15 months in the intervention group. Data will be analysed on an intention-to-treat basis using a linear mixed model for repeated measures. The findings will make an important contribution to evaluating cost-effective and evidence-based rehabilitation approaches for community-dwelling adults.